“Curiouser and curiouser!” we exclaim as we walk upstairs trying to find the ‘Trapped!’ entrance in Upland. 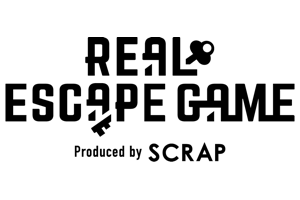 Parking spaces abound, but the location of the escape room company is a bit mystifying. After much searching we arrive and enter the lobby, where a Game Master graciously greets us. The room houses a shelf of curios, artwork for all three rooms, a few stationary puzzles, and a monitor displaying a leaderboard. There is no way to quench your thirst, but at least there is ample storage for knickknacks in the lockers or seat compartment. We have met many Escape room staff members and are delighted to acquaint ourselves with these talented and committed individuals. A screen outside our designated room lights up and details our tale in classic storybook fashion. Using the imagery of an open book with delightful drawings, a narrator explains, “While chasing your runaway dog, you fall into a large hole. You find yourself deep underground, standing at the doorway to a strange home.” Inside, the décor can only be described as whimsical and masterfully crafted. If you care to take a peek, there are images posted on the room’s website. Mirrors, clocks, and tea sets are just a taste of what is in store for adventurers. It is refreshing to play a family room that is accessible to all ages and still engaging. The rabbit, proprietor to the home, speaks to you through a giant horn about what you must do to escape. (The casting for the rabbit must be noted, as it is cute and spot on.) The sights and sounds are very immersive but it can be difficult to understand the whole story if you miss key dialogue throughout the event. Having said this, there is a lot of lore and intrigue while going through the rabbit’s house and none of it disappoints. You can sense the care given to creating this room. Props and puzzles are all hand made and everything ties together with the Wonderland theme. This room is also a lockless room, using hidden mechanisms to lead you from one solution to the next. There are also a large variety of these puzzles, which we always greatly appreciate. Everything flows in a logical sense without being too linear. 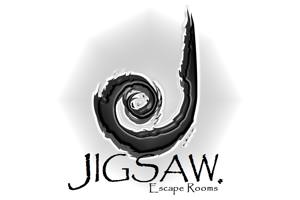 In fact, before entering “Down the Rabbit Hole” you are gifted two items that help start you on the right path, removing that awkward phase of not knowing what to do once entering a new escape room. The attention to detail to the setting, puzzles, and story are impressive and capture some of that imaginative magic you had as a child. Once we complete the journey, our Game Master crafts a unique board with the remaining time we have on the clock. Props and signs are also available to hold while we take a celebratory picture. This room experiments with new ideas and concepts while still feeling nostalgic. The level of quality and the enthusiasm of the staff make this a must-try experience. There are plans for the company “Trapped!” to expand to Vegas and San Dimas within the year, and we are excited to see what else they can create. Simply put, “Down the Rabbit Hole” is a well-crafted gem that is fun for all ages.